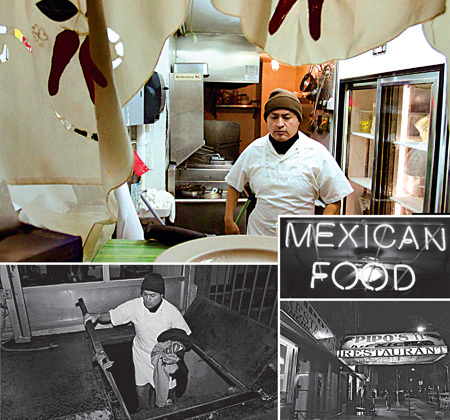 NEW YORK—Julio Bonilla lives and works in East Harlem, N.Y., as a busboy and deliveryman for Pipo’s II Mexican Restaurant. In the last 20 years, more than 12,000 Mexican immigrants have moved into the community, according to U.S. Census data. The peak season for people to cross the U.S.-Mexico border in Arizona is January through June, said David Jimarez, an agent in the U.S. Border Patrol’s Tucson Sector. The Border Patrol’s Tucson Sector is responsible for 262 miles of Arizona-Mexico border, he said. The Yuma Sector patrols the remaining 127 miles. In fiscal year 2009, the Tucson Sector reported 241,000 apprehensions—which is less than half of what it was in 2000. Crossing used to be much easier, said Bonilla, who crossed the border through Nogales.